In the fight against bad actors, cyber threat intelligence is a critical weapon. But it’s not enough to just have cyber threat intelligence: you have to use it effectively. 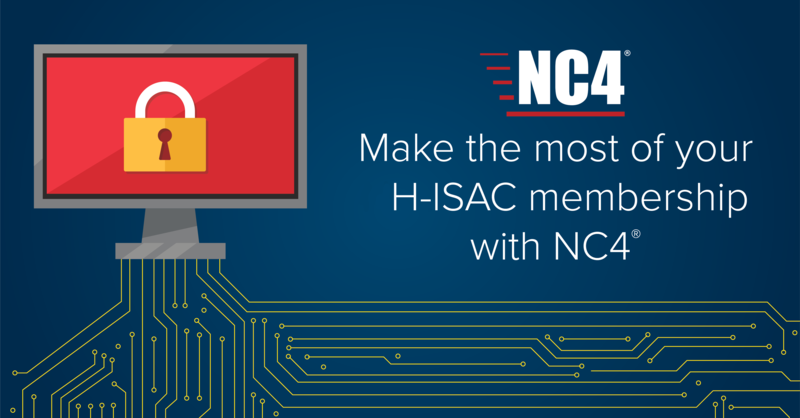 Joining H-ISAC is a great step, since they provide high quality intelligence that’s relevant to the healthcare community. Aggregate all your cyber threat intelligence into one platform so you have an authoritative repository of threat intelligence from all your sources, including NH-ISAC, the new NC4 PickUpStix feed, our AIS refeed, endpoint devices, etc. In addition to Soltra Edge, NC4® offers solutions that reduce friction in the cyber threat life cycle by unifying teams with secure person-to-person collaboration and accelerating defensive actions. NC4’s solutions bridge the gap between human-to-human and machine-to-machine sharing, allowing you to be the hero of your organization and save the day from cyberattacks. Special pricing is available for H-ISAC members! Let NC4 show you how seamless your cyber threat life cycle can be.